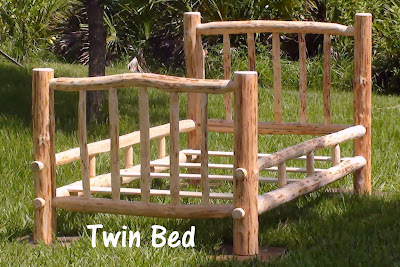 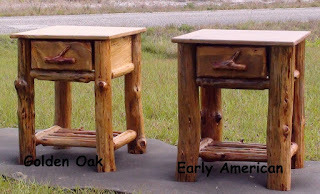 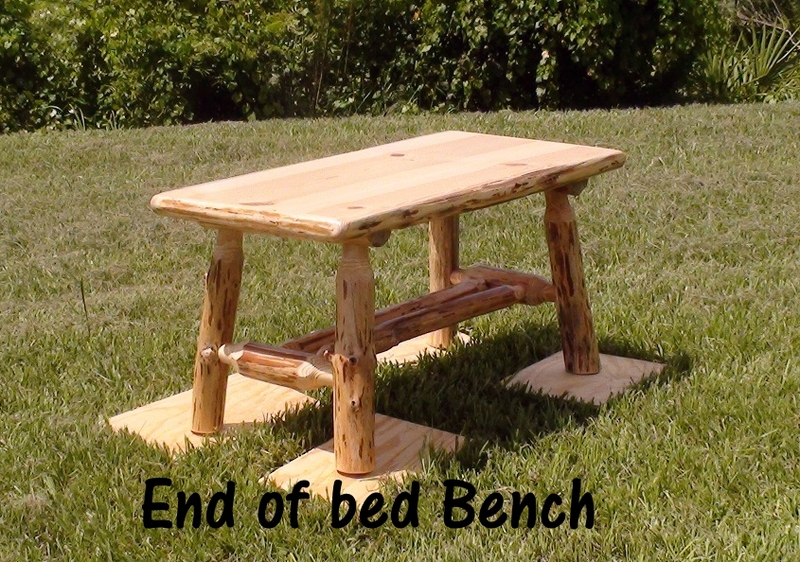 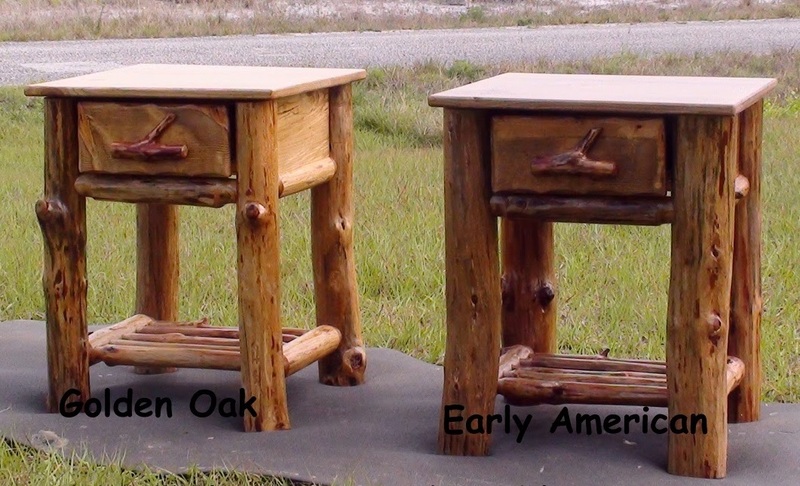 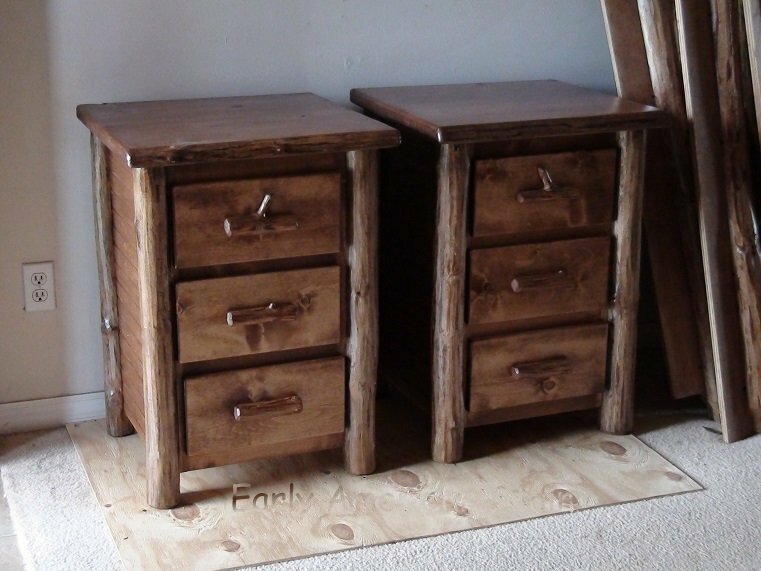 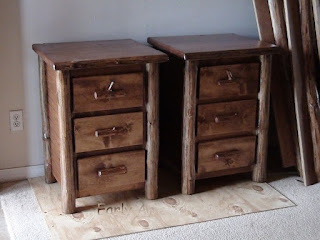 I mainly focus on building beds and dressers and side tables to go with them, but I can build many other types of rustic furniture as well. 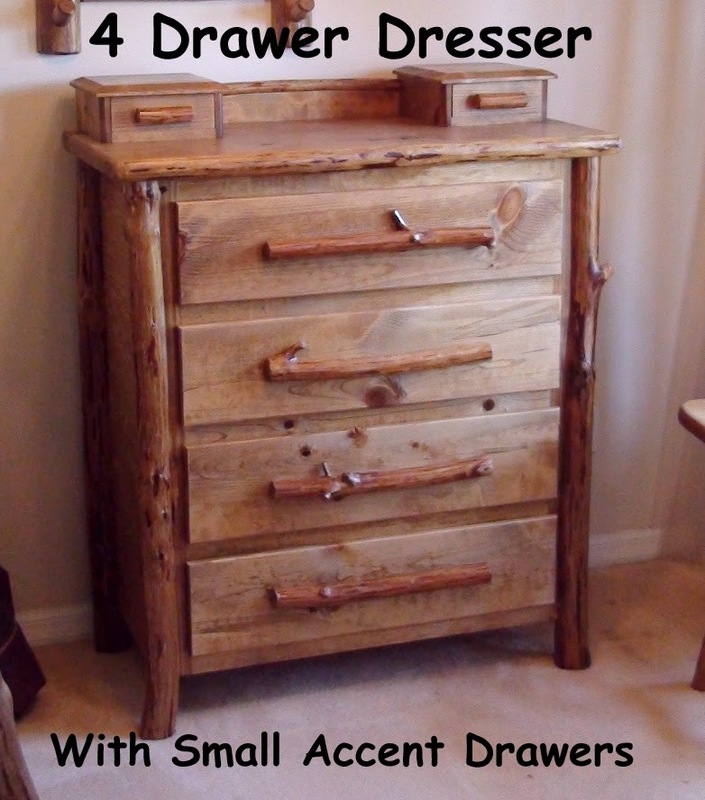 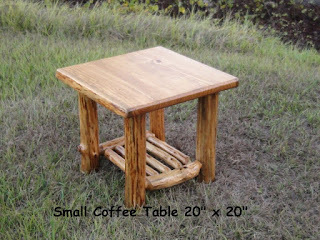 I mainly sell through craigs list, and to people who see my adds on craigs list or this webpage, but want something similar or a different size. 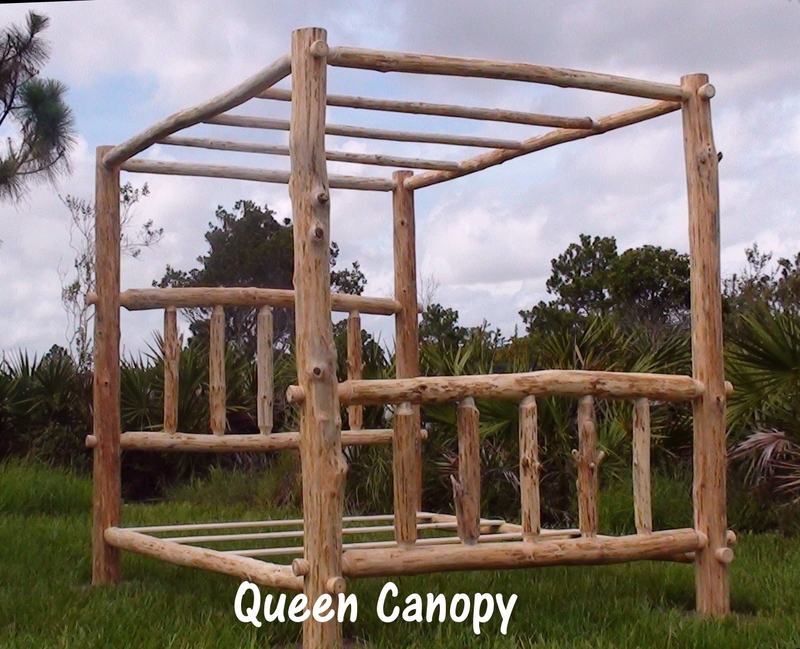 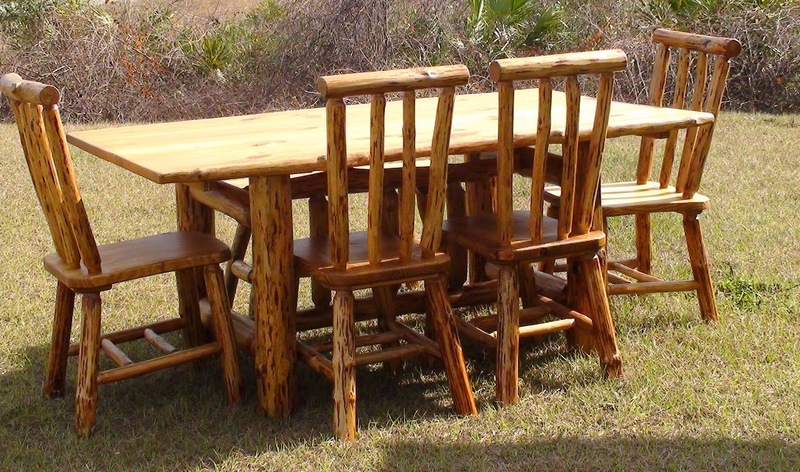 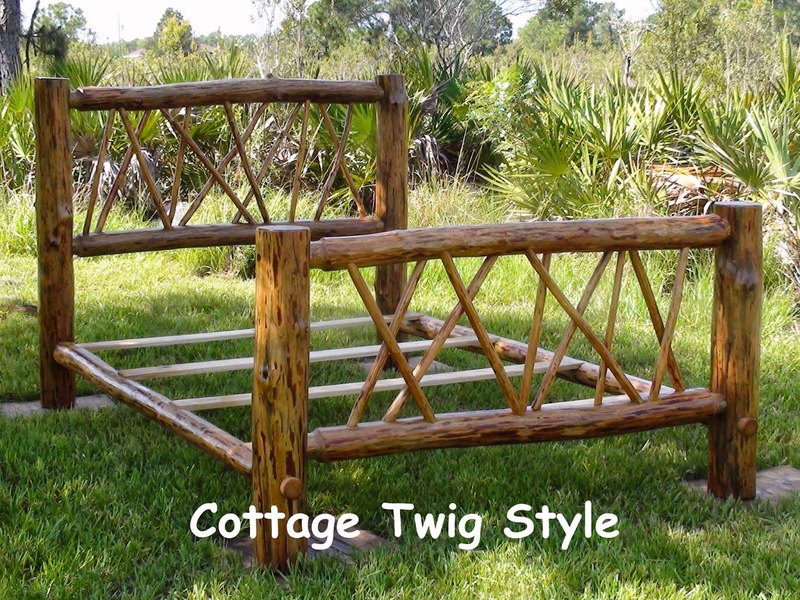 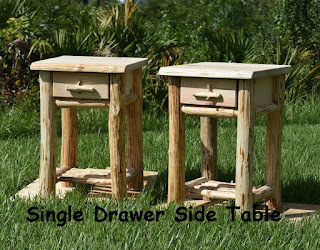 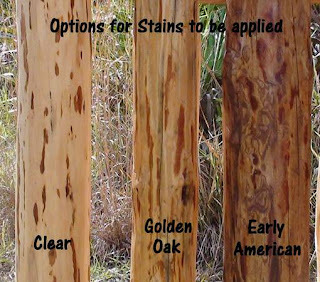 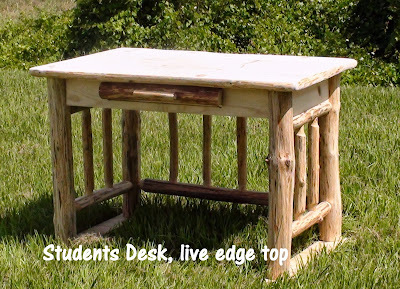 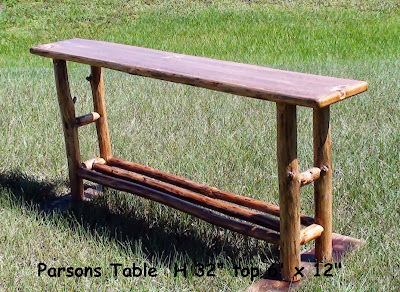 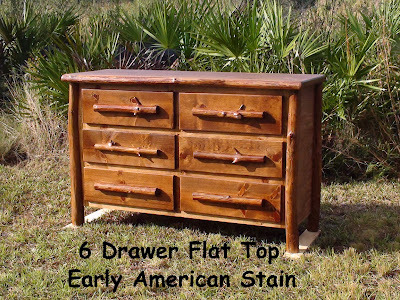 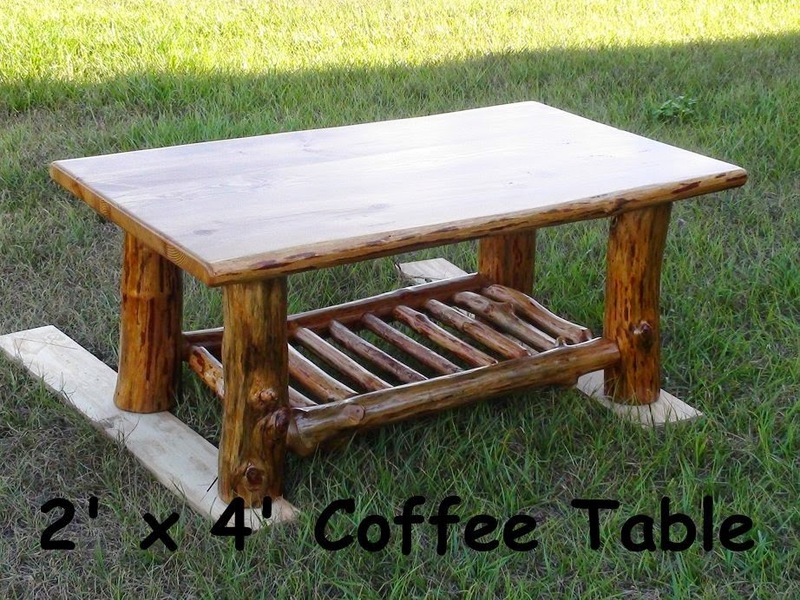 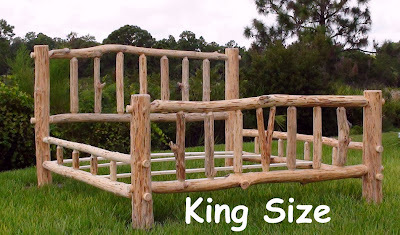 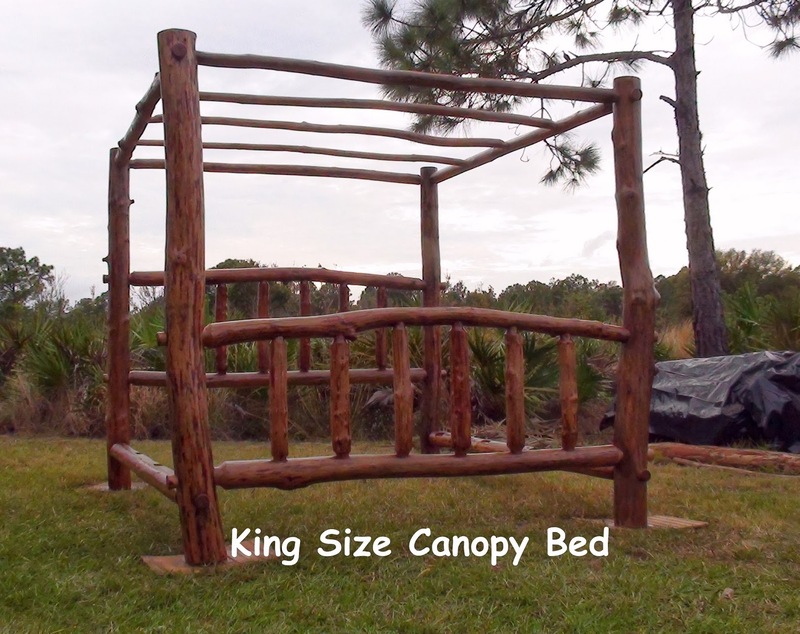 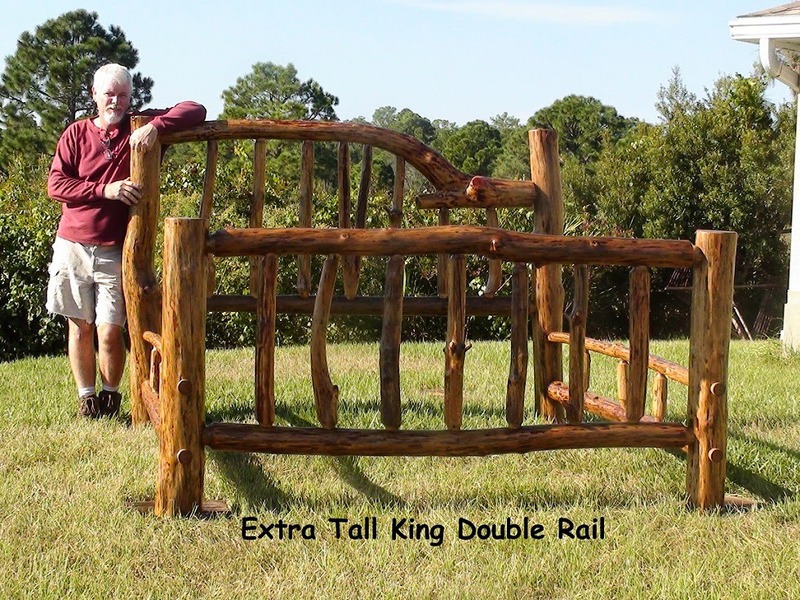 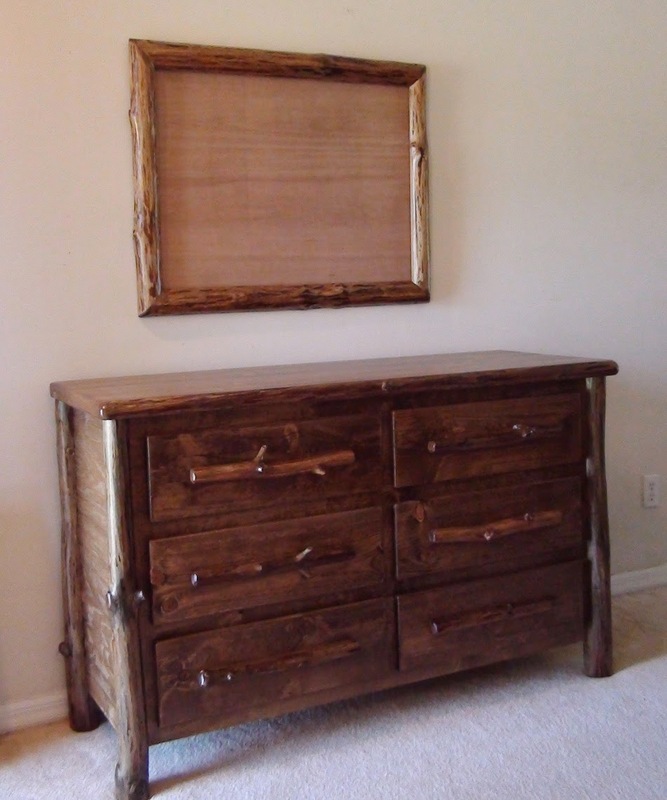 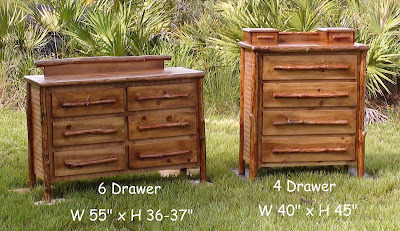 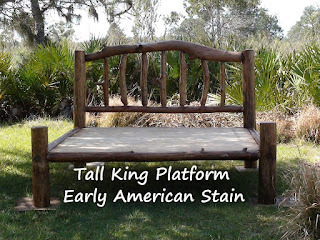 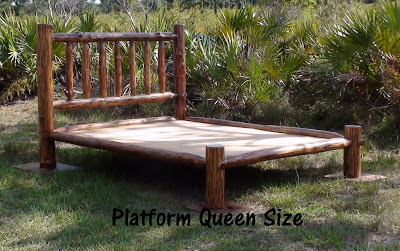 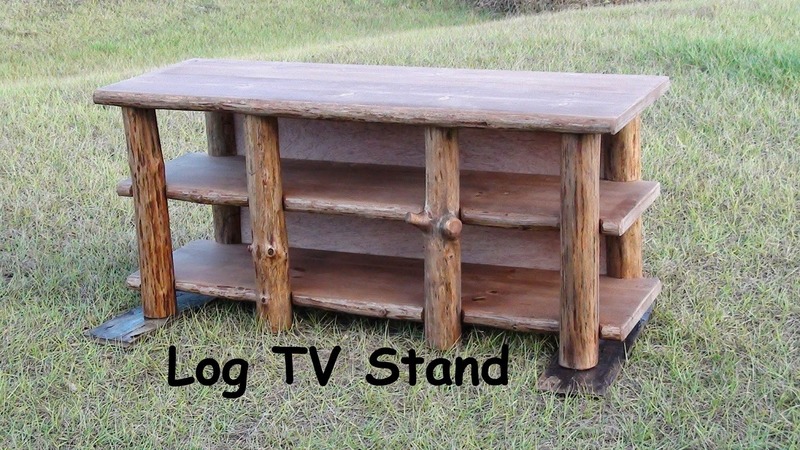 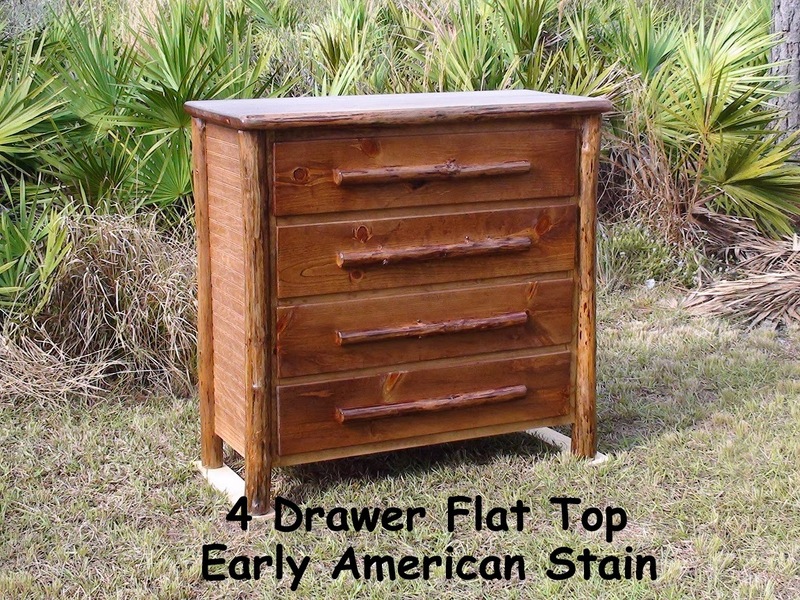 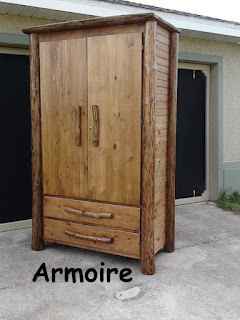 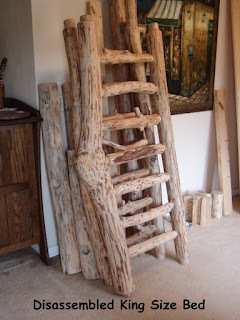 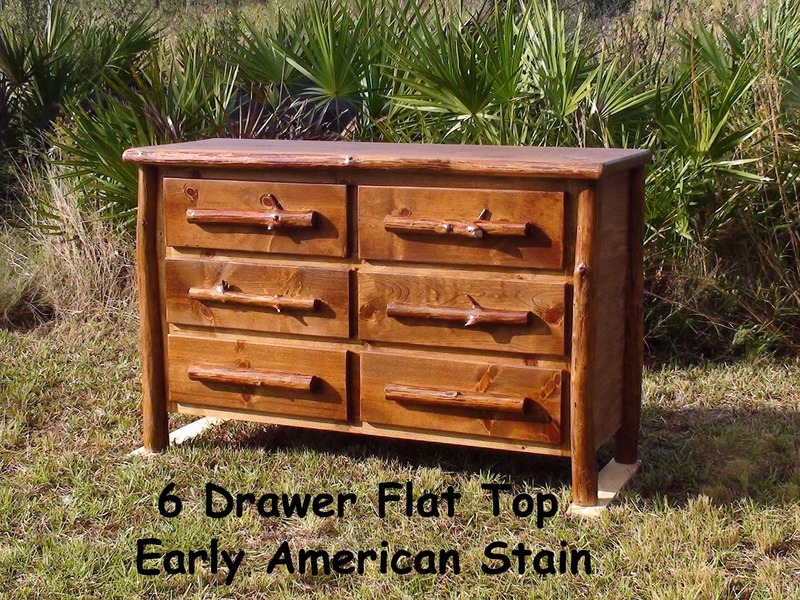 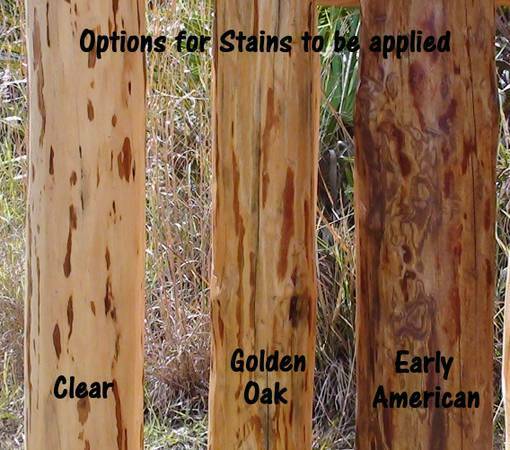 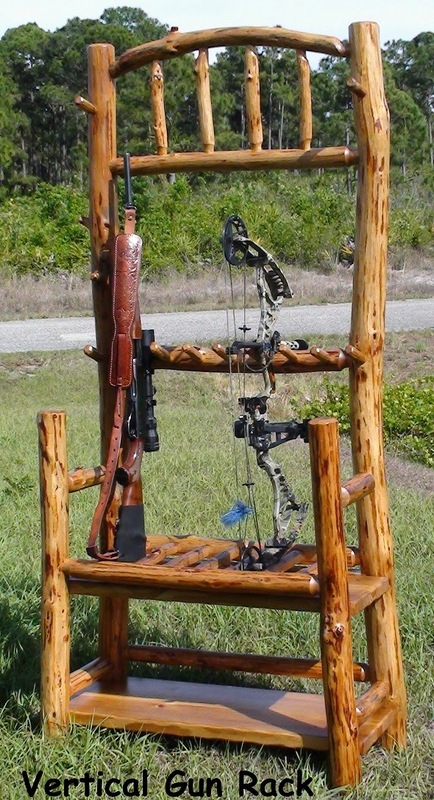 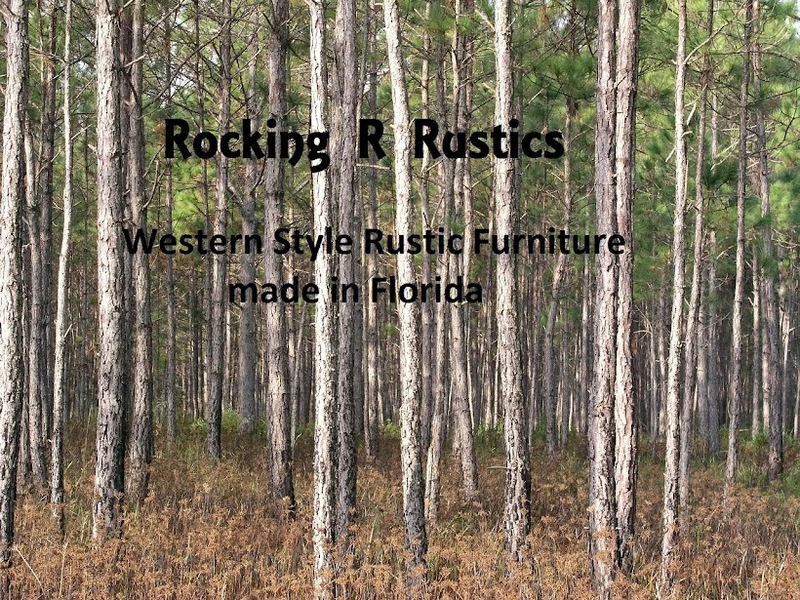 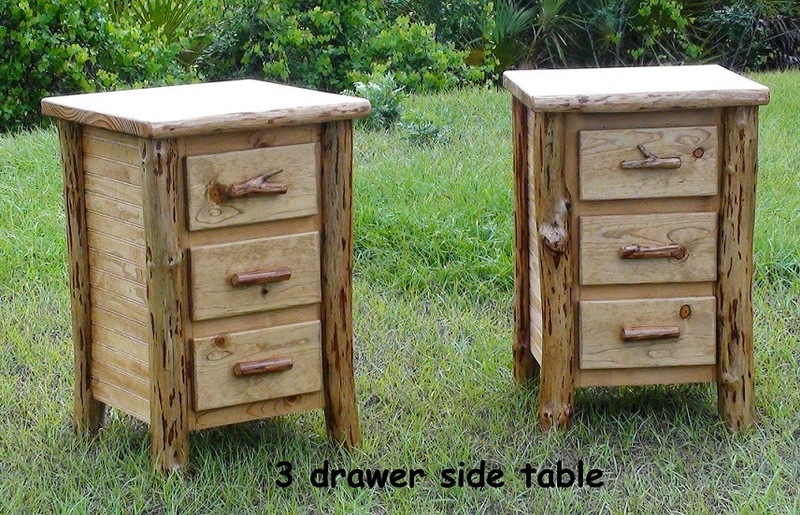 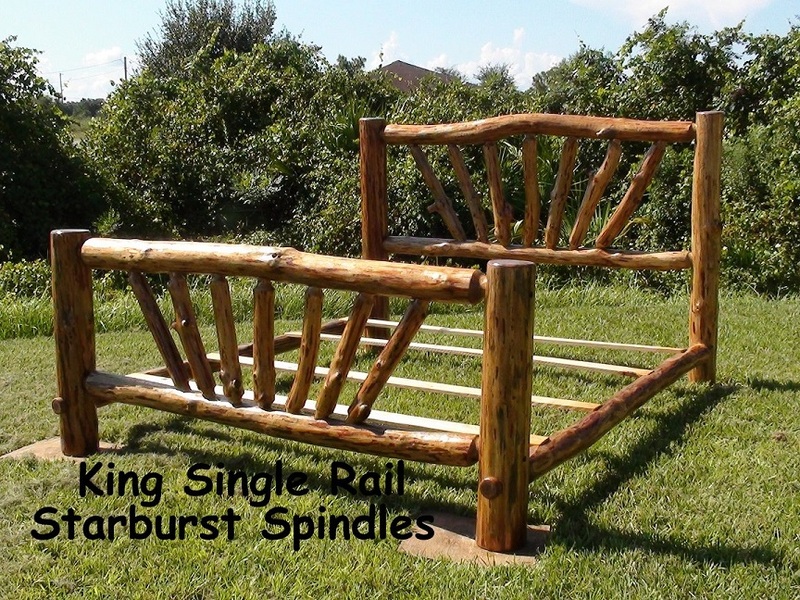 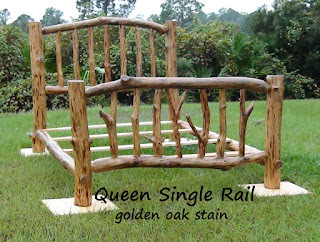 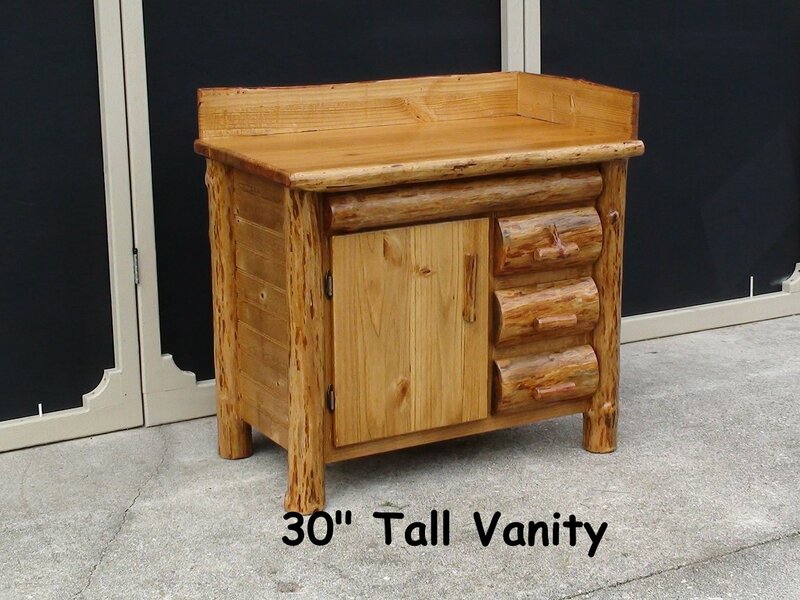 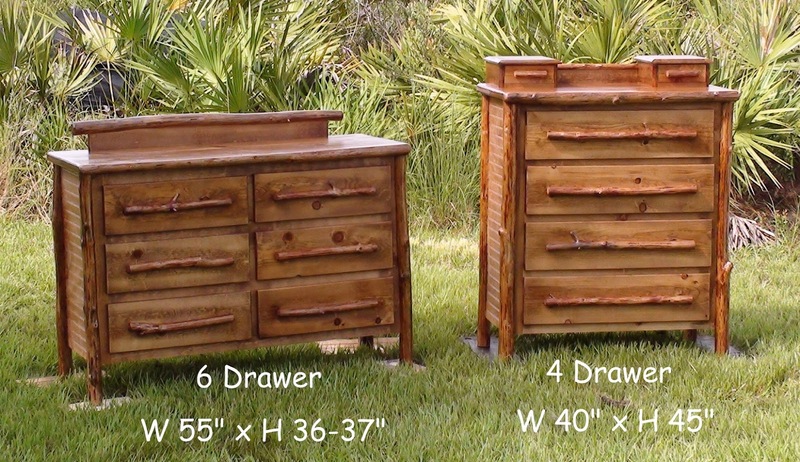 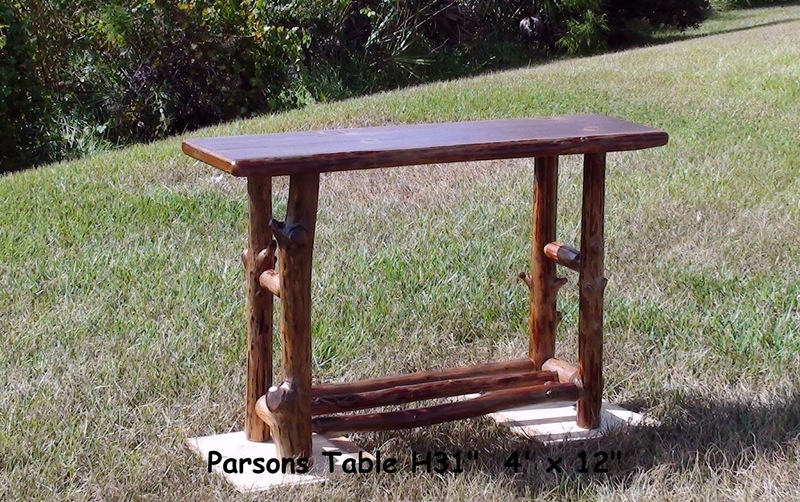 I predominantly sell to people who can pick up themselves here in South Florida, because the shipping costs for heavy bulky pieces like log furniture, are through the roof. 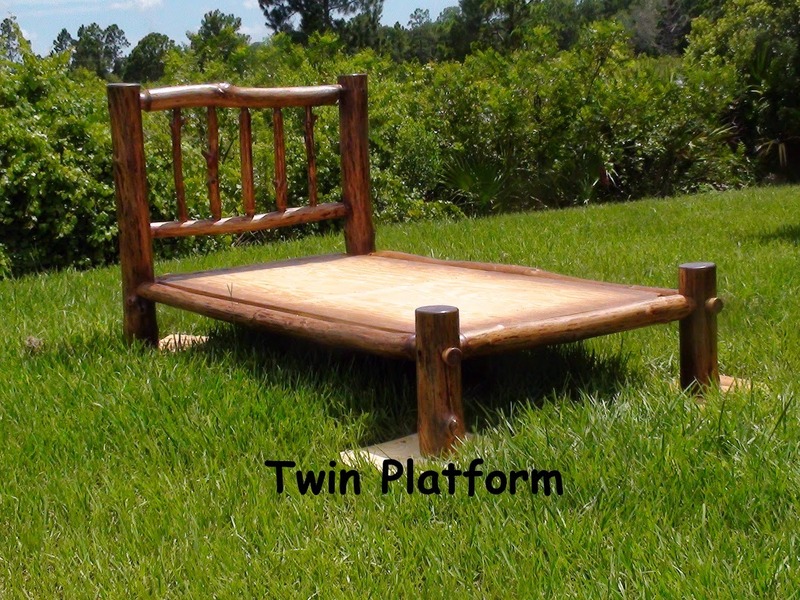 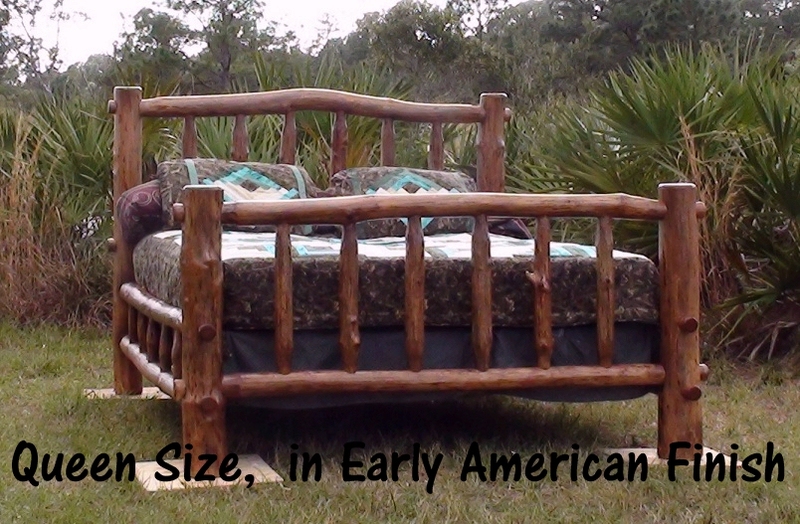 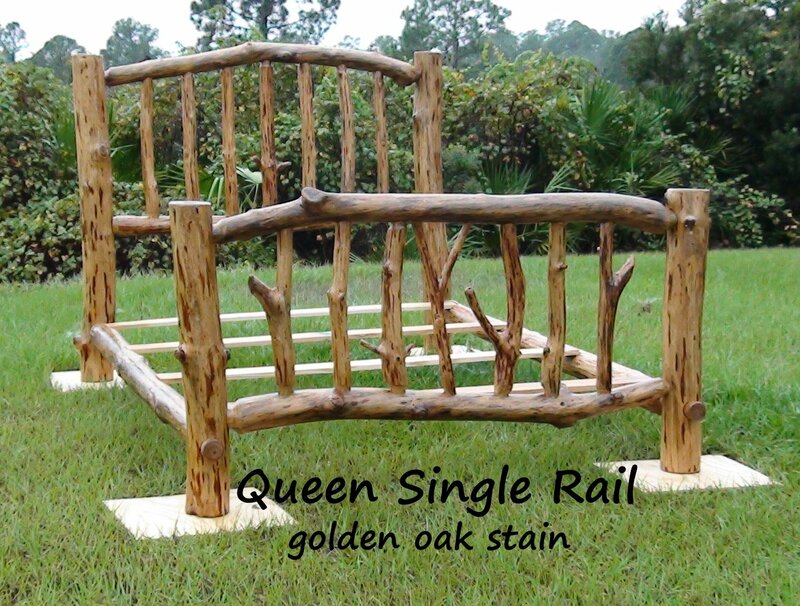 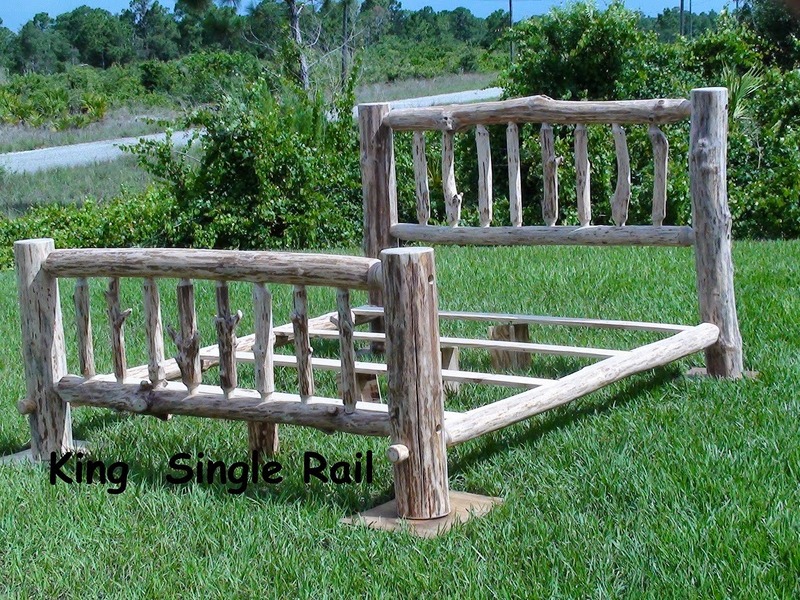 Single Rail, allows the maximum width of the bed to be only a couple of inches wider than what the mattress is. 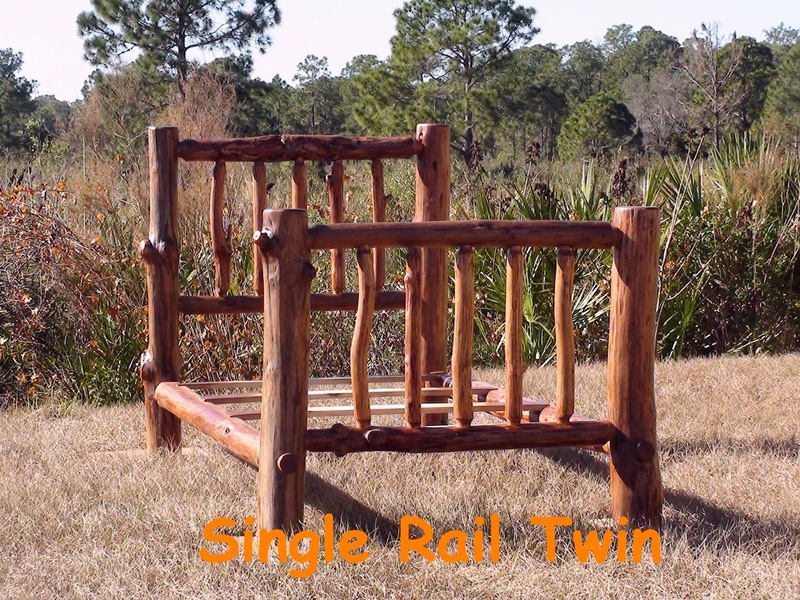 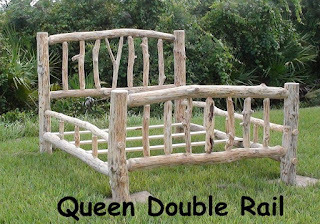 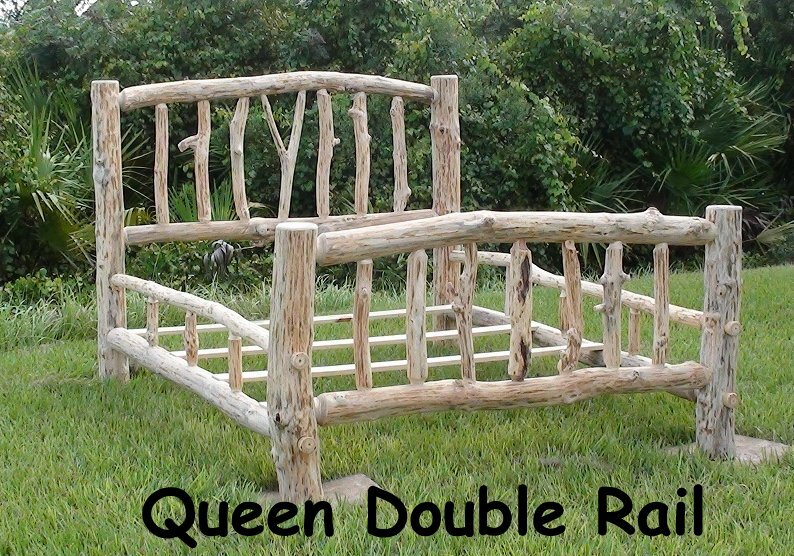 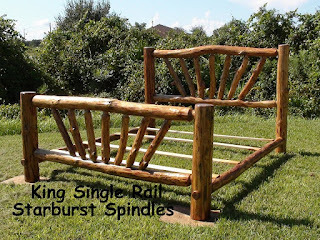 The double rail must be wider than a single rail because the box spring and mattress sit inside of the rails instead of directly on top of them.